A video documentary based on field research 1989-2006 conducted by Prof. Dr. Ulrich Morgenstern. The image of the Russian folk music is still very much determined by the mawkish stereotypes of the Soviet pseudo-folklore. Parallel to this there is an orally transmitted instrumental music practice that is much more diverse. Although it is only sparsely documented and researched. 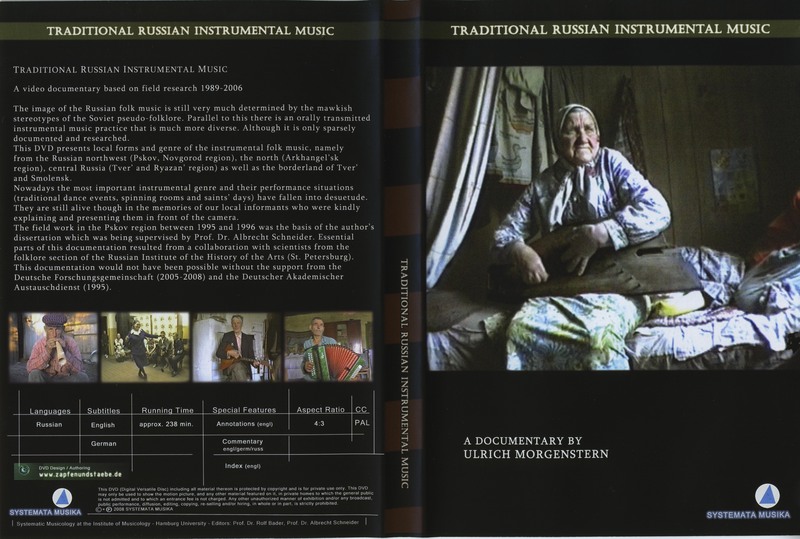 This DVD presents local forms and genre of the intrumental folk music, namely from the Russian northwest, the north, central Russia as well as the borderland of Tver’ and Smolensk. If you want to order a copy of the DVD, please contact us, and we get back to you as soon as possible.